I’m referring to 2017, of course. Good riddance. Politics aside, last year was one of the most stressful and most life-changing for me. I stepped away from a 17-year career for a potential new one…that inevitably also ended. Thankfully, I had this blog to fall back on, and the world’s most supportive husband and partner backing me up and encouraging me to follow my heart. I embraced my Millennial-ness, even though I still think I’m more of a Gen-Xer. I stopped stressing about why I haven’t gotten pregnant yet and embraced the way my life is without children. I took on too many projects. Spent too much money. Began to learn how to discipline myself as a self-employed woman. But I also got to enjoy so many fantastic experiences in so many different places – and 2018 promises to be a lot of the same! There are already a handful of exciting things happening for me and, in turn, for you, and it’s taking every ounce of my resolve to not spill the news! 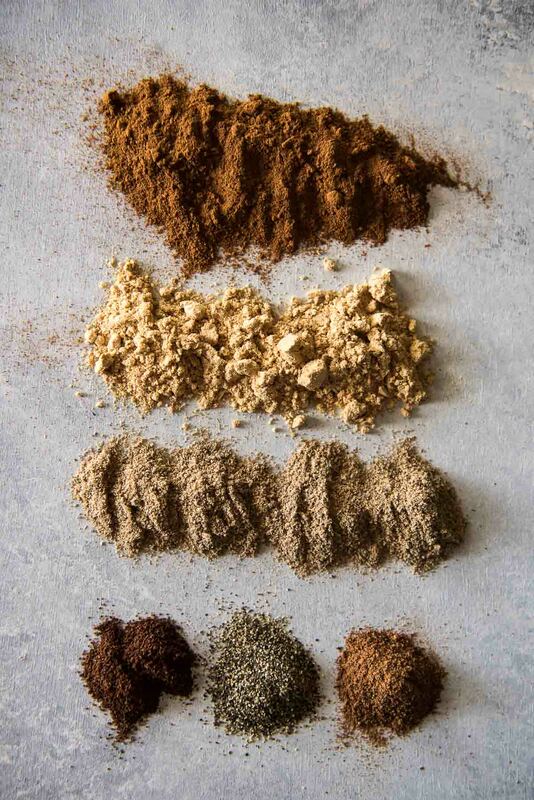 Until I can share, why don’t we spend this dreary January 1st looking back at a year in food? The Best of 2017 Recipes! These were the 10 most popular posts on The Crumby Kitchen this year. Some of these might surprise you – they sure surprised me! Who doesn’t love a refreshing popsicle in those hotter months?? 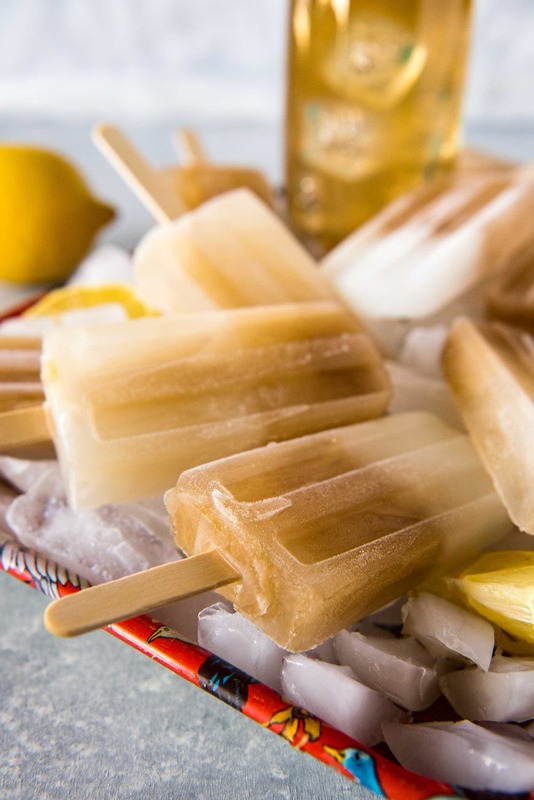 These lemonade-sweet tea hybrid pops are so easy and tasty, they’d even be welcome on a cold day! I’ve developed quite an obsession for chai in the past 12 months, and apparently so has the rest of the internet. You people have good taste, too, because this mix is the bomb! These mimosas had my heart from the moment the glass touched my lips. 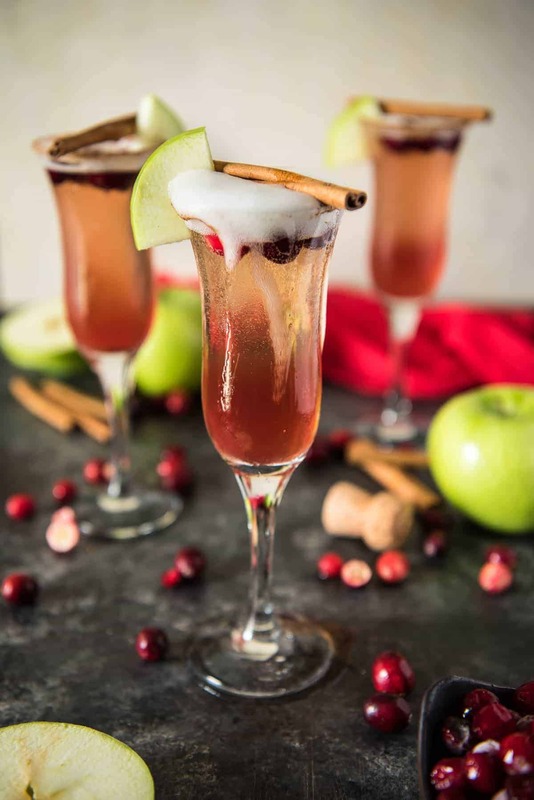 Apple cider, cranberry juice, and champagne make for one hell of a brunch bevvie! Just don’t skip that cinnamon-sugar rim – it makes the drink extra special. The recipe that rekindled my love of waffles. 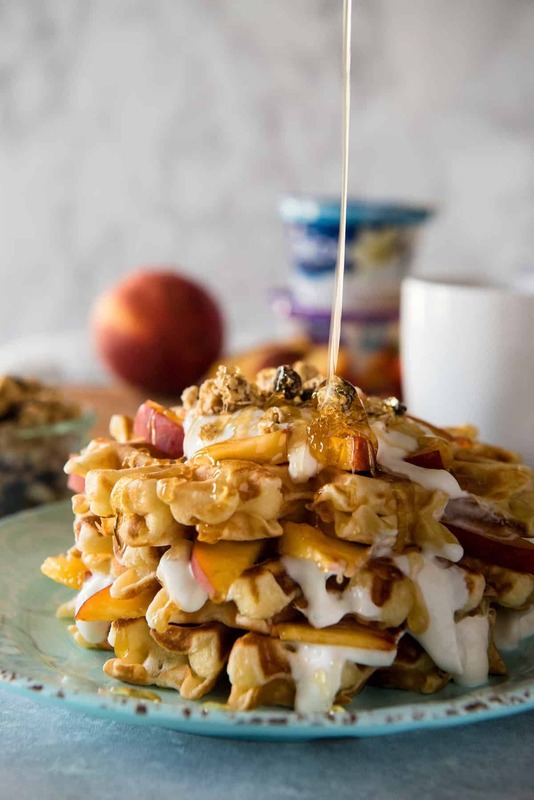 Who knew a stack of yogurt, honey, granola, and fresh fruit could make a classic breakfast so much more delicious? 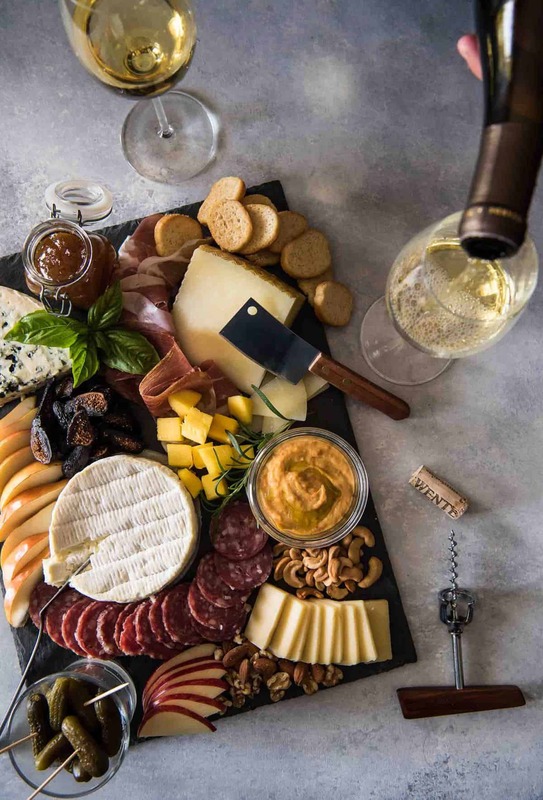 I made my fair share of cheeseboards & charcuterie platters this year…to the point where I think I may be a pro at this point. Every holiday saw a very different board, but this is the one that really tickled your fancies. I think it’s the gherkins. One of the few cupcakes recipes I shared this year, and the one that got the most love and attention. 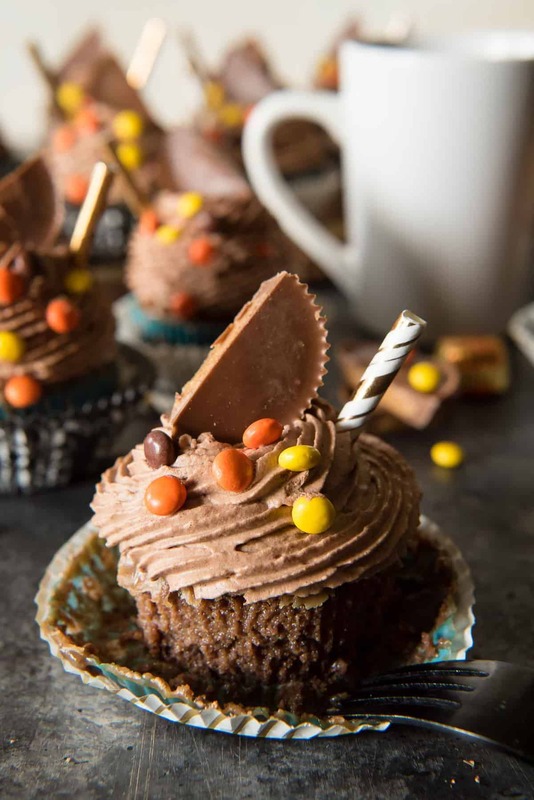 I love Reese’s as much as the next guy, and I was so happy that the peanut butter/chocolate tres leches cupcake actually worked – and that it was so well received! A simple side dish that’s perfect for a holiday spread, or a Tuesday night dinner in April. 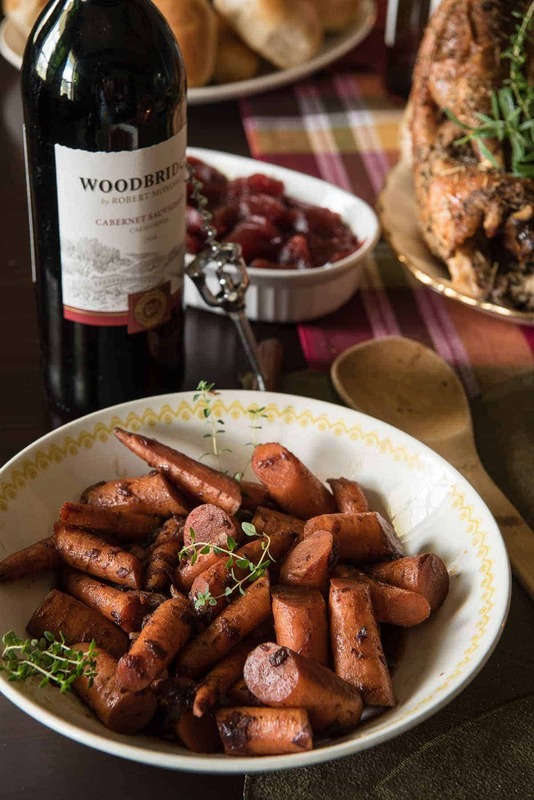 The sweet maple balances the dry red wine so well in this easy recipe that rivals your standard glazed carrots! This dip has become an obsession of mine, and it’s such a thrill that a copycat of something I had at a Disney restaurant has been so well received. 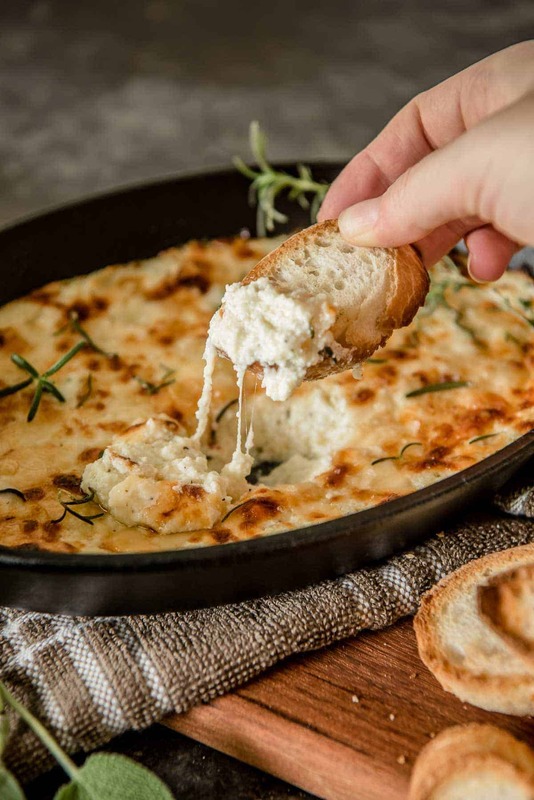 A great party dip, you could also just whip it up as a pre-dinner app any night of the week. Or just call it dinner, which isn’t a terrible idea, either. The beauty of this cocktail is quite literally its beauty. 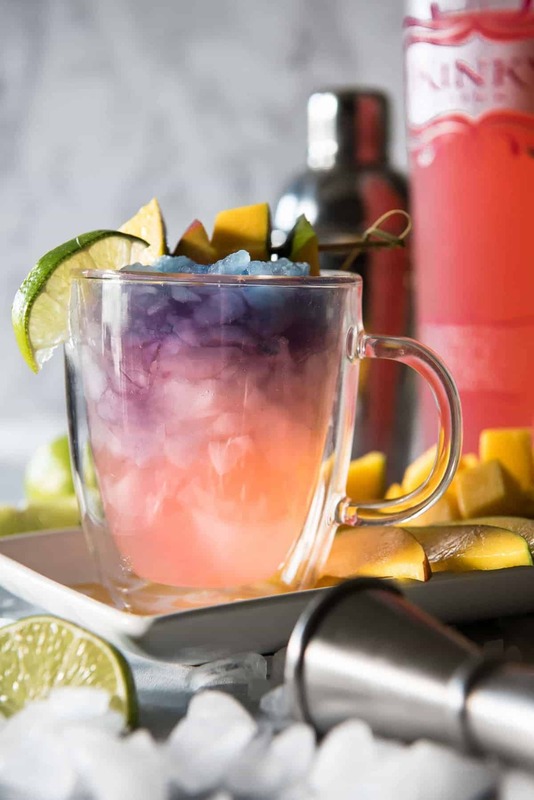 The pink mango and passion fruit-flavored vodka mixed with the blue pea powder-tinted ice creates quite the eye-catching drink that is much easier to make than you might think. My number 1 post was a huge surprise to me! 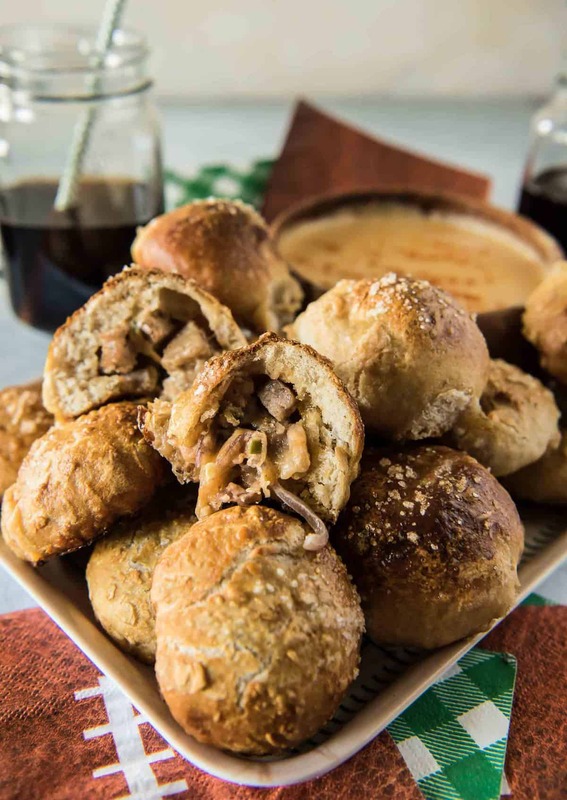 These bratwurst and caramelized onion-filled pretzel bombs are a bit labor intensive – but damn are they good. They’re a tailgating must-serve, just don’t forget the beer cheese dip (a double batch) for the full effect! 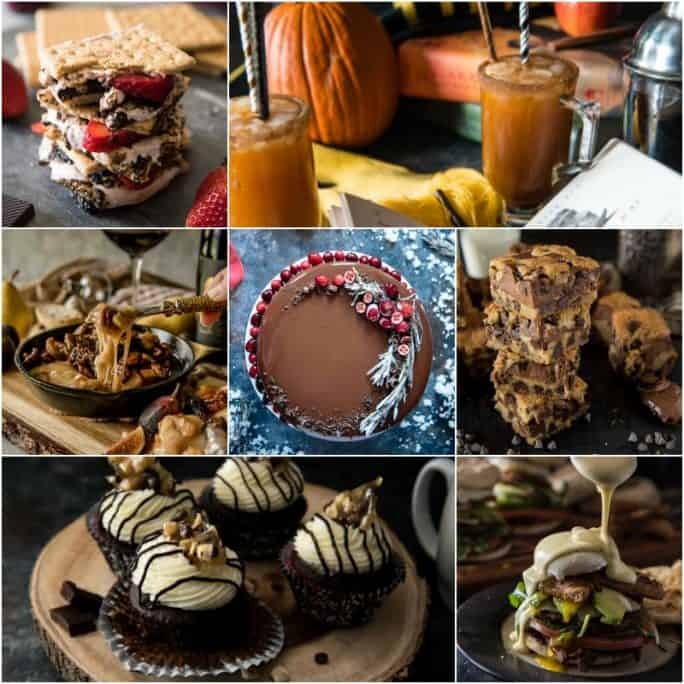 Just like last year, there were a few recipes we shared this year that I thought would rock the internet…but didn’t quite perform to my expectations. Such is the life of a food blogger. Here are a few of my faves – I’d love you to revisit them and give them a shot! Triple Chocolate Cranberry Mousse Torte – To be fair, this was one of my last posts of the year, and the week after Christmas proved that it was indeed a favorite. We’ll see how it does next holiday season! Nutella Chocolate Chip Cookie Dough Bars – These “oops” cookie dough bars ended up being one of my favorite dessert recipes of the entire year. They’re super rich, with a layer of Nutella cheesecake between two layers of chocolate chip cookies, and if you’re anything like me, you’ll eat them until your belly hurts. Mocha Mascarpone Cupcakes – My “Cupcake Wars” winning recipe! Should have been huge, right??? Well, not when you wait 6 months to share it after the fact. Either way, they’re a decadent, delicious dessert that shouldn’t be missed. Strawberry S’mores – Homemade strawberry marshmallows? Melted chocolate? I had so much fun shooting these…and then eating them. The Ultimate Brunch Burger – Everyone loves brunch, right? I know I’m not the only one. So what’s the deal? This burger should have been huge – everything you love about breakfast/brunch on an English muffin, including a 2-minute Hollandaise? Come on guys, you’ve got to try this one! Brown Butter Fig & Pear Baked Brie – This is the recipe that made me fall in love with figs and brie. Because brown butter makes everything better, and a gooey cheese snack is never a bad idea. Grown Up Pumpkin Potter Juice – I love this recipe, but I get why people may shy away from it. Harry Potter is a child’s series, even though I grew up with every new book that came out. Knowing what I know about adult Harry Potter fans, though, this would be such a fabulous addition to any party…and we know how to party! 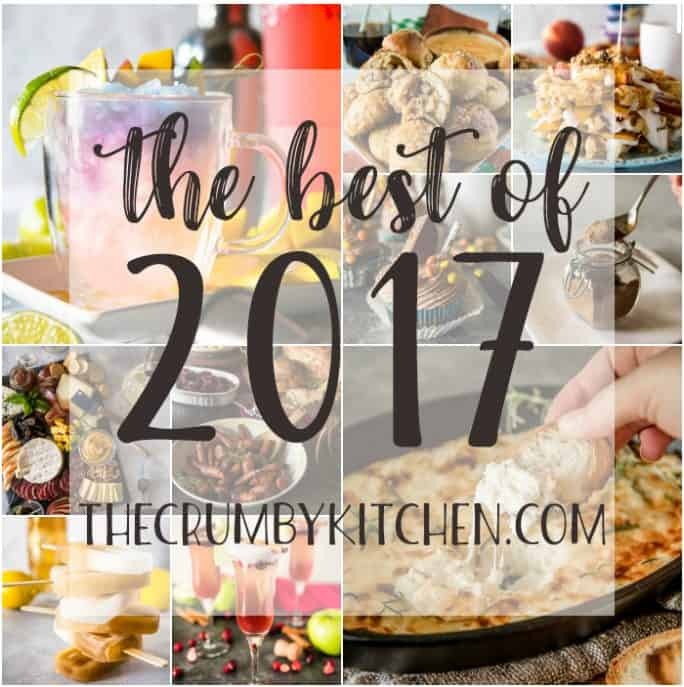 If you tried something from The Crumby Kitchen this year, leave a comment with your favorite!